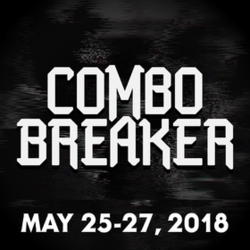 Address/City 4051 East Main St.
Combo Breaker 2018 was a fighting game tournament that took place in St. Charles, Illinois on May 25th-27th, 2018, organized by Richard Thiher. The event hosted 19 different fighting games, including singles and doubles for both Super Smash Bros. Melee and Super Smash Bros. for Wii U. This page was last edited on July 14, 2018, at 23:53.